The Carbon County, Pa. jurist recorded history of his coal region justice system, while shepherding its transition into modern case management. Judge John P. Lavelle, the longest serving president judge in the history of Carbon County, Pennsylvania, died Friday, October 20 at his home in Lehighton, surrounded by his loving family. He was 86. Lavelle had myelodysplastic syndrome, a bone marrow cancer, with complications from Parkinson's Disease. During his 23 years in office, Lavelle pioneered computerized case management in his jurisdiction, while unearthing and documenting the early history of the coal region justice system and its treatment of Irish immigrants. He also heard a precedent-shattering $6 million libel trial against The Philadelphia Inquirer in 1990, later throwing out the jury verdict. Lavelle wrote more than 800 opinions and presided over thousands of cases that ran the entire legal gamut, from zoning ordinance disputes to one of northeastern Pennsylvania's most notorious gang murder cases. But he would say he was proudest of the lesser-known cases in which he found ways through creative sentencing to give defendants who appeared before him a second chance. "I try to instill in individuals a sense of doing something," he said in a 1997 interview with The Morning Call. Lavelle once sentenced a woman with a long record of calling in false fire alarms to clean fire trucks for six months. In 1984, he became one of the first Pennsylvania judges to order a school board and striking teachers to negotiate daily until they resolved a contract impasse. Lavelle won his seat in the shortest political campaign in Pennsylvania history in 1977; the state Supreme Court ruled less than two weeks before the November election that the governor could not fill the vacant judgeship by appointment. One of Lavelle's first initiatives in office was to automate the court system's antiquated manual record-keeping, and under his direction Carbon became one of the first Pennsylvania counties to embrace computerization. Lavelle wrote new rules of court and manuals to train court personnel in the system. His portrait in the historic courthouse in Jim Thorpe memorializes this accomplishment; a computer screen is seen in the background. One of Lavelle's first high-profile decisions, however, acknowledged the potential pitfalls of technology. On Election Day in November 1979, he made the unprecedented decision to call off and nullify voting in Carbon and order a new election, because county voting machines had been improperly set and would not permit cross-party voting. Soon after he took office, Lavelle found in the basement of the 1893 courthouse building in Jim Thorpe hand-written transcriptions from the court's early history, including those of the trials of the Irish immigrant miners who in the 1870s had organized against coal company bosses. "That began my quest" of delving more deeply into the court system's history, he would say. In the late 1870s, violent confrontations had resulted in a series of arrests, convictions, and executions of several members a group popularly known as the "Mollie Maguires." Lavelle found documentation of how the scales of justice tipped against the defendants, who were not permitted to testify on their own behalf, and who could not understand portions of the prosecution's case, which were delivered to the jury in German. For the sesquicentennial anniversary of of Carbon County in 1993, Lavelle organized a mock trial of one of the Mollies, Alexander Campbell, performed in the main courtroom by a troupe of actors from the Lehigh Valley, using the words from the original trial transcript. But Lavelle added to the script Campbell's own words from statements he had made outside the courtroom, so the defendant would have a chance to testify on his own behalf as under modern court rules. A jury of citizens chosen from outside of Carbon County who had never heard of the Mollie Maguires returned a "not guilty" verdict. Lavelle would record that story and the history of the county's bench and bar in a 400-page book, The Hard Coal Docket, published in 1994. In 1990, Lavelle was appointed by the state Supreme Court to hear a controversial case that presented conflicts for most members of the Pennsylvania judiciary. State Supreme Court Justice James T. McDermott had sued The Philadelphia Inquirer for libel over a 1983 investigative series called "Above the Law,"which raised questions about judicial ethics. At the end of the seven-week trial in Philadelphia, Lavelle instructed the jury that to prevail, McDermott had to prove the articles were defamatory, false and published with actual malice, and that he suffered harm. The trial jury found McDermott had not been libeled when the series originally appeared, but that a later reprint of the series was libelous, and awarded him $6 million. On appeal, Lavelle threw out the verdict as inconsistent, and ordered a new trial. The case ultimately was dismissed in 2006, years after McDermott's death. Lavelle's view of the legal system's high purpose was evident even in his most humble cases. In 1985, he upheld a $380 fine against a Summit Hill man who violated a borough ordinance by keeping a 1,000-pound pet pig in his backyard after he had been ordered to remove it. In an eight-page opinion, he noted the frenzy of media attention around the case. "The heightened interest, perhaps, reflects a deeply felt and predominating empathy for the underdog, the helpless and the downtrodden of our society," Lavelle wrote. However, he said, the "court must see through the glare, search out the legal issues and once found, cooly apply the law." John Patrick Lavelle was born on February 18, 1931 in Philadelphia, a son of Irish immigrants. Amid the Depression, his mother, Sarah McBride Lavelle, found life so difficult that she wrote in a letter to a relative that she was aiming to return with her family to Ireland. She would never have the chance. Sarah died of pneumonia when her son, John, was 16 months old, and his younger brother, Joseph, was an infant. Her distraught husband, also named John Lavelle, a part-time chauffeur, found himself unable to care for the boys. John and Joseph stayed in a series of foster homes until they were adopted by Sarah's recently widowed cousin, Mary McFadden Coll, who already had 12 children. The orphaned Lavelle boys suddenly became the youngest members of a large family; they would remain close to their older brothers and sisters, the Colls, for the rest of their lives. When John reached his teens, he was enrolled in the former St. Joseph's Seminary in Princeton, New Jersey; he'd later say he chafed at rules such as silence at mealtimes and abandoned study for the priesthood. But the Vincentian Fathers were impressed by his studies, and he was offered a scholarship to one of the religious order's institutions of higher learning, Niagara University in New York. At Niagara, Lavelle excelled at speech and drama and prepared to become a teacher. Just before he graduated in 1953, his counselor told him that he would like to recommend him for a full scholarship that had become available to a new law school that was opening up at another Roman Catholic institution, Villanova University. It was the first time that Lavelle had ever considered a future in the legal profession; he accepted the offer. Lavelle's law studies were interrupted when he was drafted into the U.S. Army, and he served two years in Italy and Austria in the signal corps. When he returned to Villanova, Lavelle met the woman who would become his wife, Marianne Shutack of Nesquehoning, who at the time was one of just three female students in the law school. Lavelle helped to obtain the funding for the Carbon County Airport and spearheaded that project in 1961. He served as the airport authority's solicitor for a decade. In 1966, he organized and obtained the charter for the former First Federal Savings and Loan Association of Carbon County, helping to bring the county its first federally insured savings and loan association. He also arranged for the financing and construction of the first professional building in Lehighton, aswell as Park View House, the first modern commercial apartment building in the town. He served as county solicitor from 1971 until his elevation to the bench in 1978. He was a director on the board of the Lehigh Valley Motor Club, and was a longtime member of Lehighton Rotary Club, serving as its president in 1971. Lavelle was outspoken about the need for support for the judicial system. He filed suit against the Carbon County Commissioners in 1989 when they refused raises for court employees and cut the court budget. After more than a decade as the county's sole judge, Lavelle successfully lobbied the Pennsylvania Legislature to add a second judgeship to help handle Carbon's growing caseload. 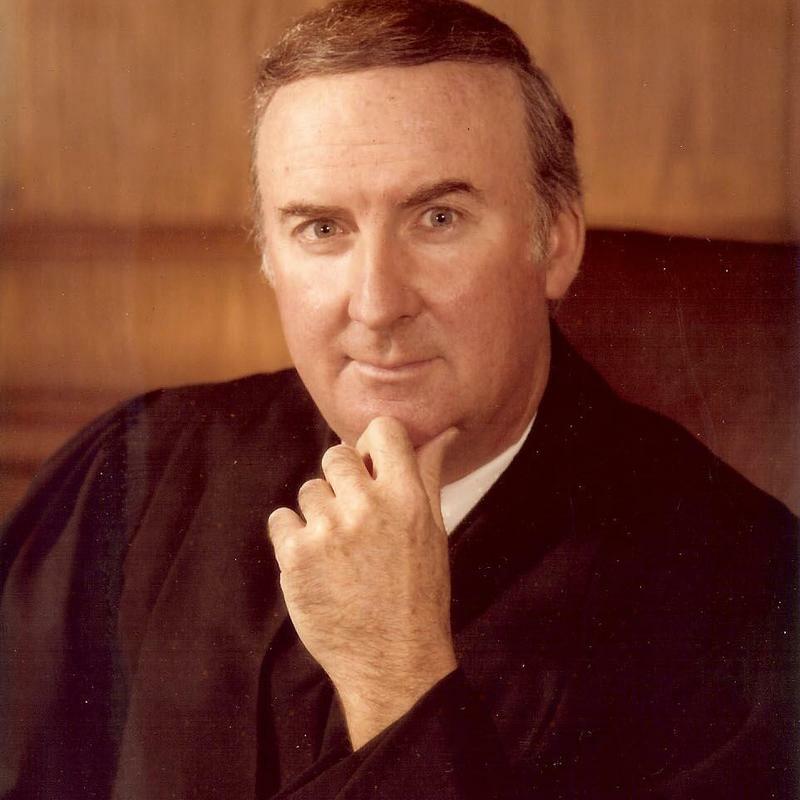 Judge Richard Webb of Palmerton was elected to join him on the bench in 1992; one of Lavelle's last public appearances was to offer a tribute at Webb's memorial service last year. After his mandatory retirement in 2001 at age 70, Lavelle took senior status for five years and presided over cases throughout eastern Pennsylvania, spending most of his time on the bench in Lehigh County. After his term as a senior judge ended, he worked as a case mediator and arbitrator for Philadelphia-based ADR Options. Lavelle was an avid golfer and enjoyed gourmet cooking, but the hobby that captivated him in his later years was family genealogy. Through document searches and interviews on three continents, he expanded his extended family to include Lavelle and McBride cousins in Cleveland, Ohio; in Edinburgh, Scotland; and in Sydney, Australia. Lavelle and his wife, Marianne, celebrated their 59th wedding anniversary on Sept. 27. Surviving in addition to his wife are four children: Marianne "Mimi" Lavelle, of Arlington, Va.; John P. Lavelle Jr., of Bryn Mawr, and his wife, Colleen Coonelly Lavelle; Jacqueline Lavelle, of Deer Lodge, Montana, and her husband Jeff Pinkard; James Lavelle, of Boston, and his wife, Elizabeth Lavelle; and four granddaughters: John and Colleen's children, Moira, Claire, and Aileen Lavelle; Melissa SanSeverino, daughter of Marianne; and nieces and nephews. Services are being arranged by the Nalesnik Funeral Home, 57 W. Center St., in Nesquehoning.